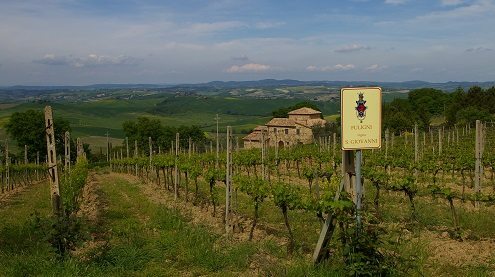 A recent visit to this beautiful family estate, run by the charming and debonair Roberto Fuligni, was a great opportunity for us to taste the ‘soon to be released’ 2010 Brunello Riserva. Fans of great Sangiovese and great Bordeaux alike will appreciate the quality of this fantastic Brunello. Full of elegance, beautifully balanced with intense, dark cherry and plum fruit and some enticing savoury notes running through – this is powerful and yet sublimely satisfying. Rich, vibrant and perfectly polished.The 2010 Riserva is already hard to resist, but this is just a baby and with patience this will reward buyers enormously in 5 to 15 years from now. ‘Wonderful aromas of dried mushrooms, flowers, plums, nuts and cedar. Complex. Full body, firm and silky tannins and a long, flavorful finish. I love the finish. Such elegance. Racy and very long. Superb. What a wine. I always love this. Drink or hold. 99 points.’ James Suckling. October 2015. 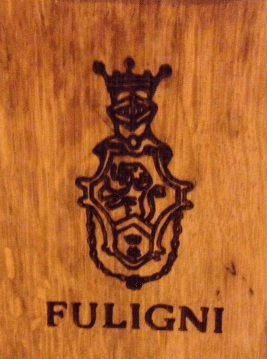 Fuligni is rated among the very top producers here, making wines true to the style of traditional Brunello. Based in the original vineyard area of the town, (which has grown enormously in recent years) they are one of the few estates making bright, vibrant and still supremely elegant Brunello – they have never been tempted by recent fashions for more weight, more fruit or more gloss in these wines – this is a pure and classic expression of what can be achieved here on these hallowed grounds. Please order via our website or reply to this email if you would like to place an order – or contact your usual Lea & Sandeman contact. This a pre-shipment offer so the usual terms apply.